Opinion Poll: Is "Singham" a better masala film than "Dabangg"? 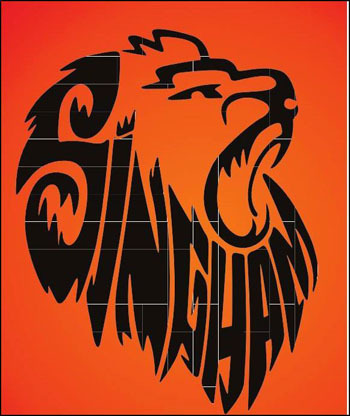 Just a single word can help suffice the story of this week’s new release Singham -dhishoooooom!!! That's what it is from the beginning till the climax. Visuals of a chiseled bodied hero flexing his muscles, a shirtless wonder taking giant strides, tough looks and humongous strength. For a minute we are almost hypnotised by the Dabangg resemblance. Well that resemblance ends there. Ajay Devgun's shirtless shots and Dabangg-ish title track of Singham do remind us that the ridiculous can only be carried off with elan only by our one and only Salman Khan. However if Rohit Shetty rests his money on the capable biceps and triceps of Ajay we aren't too disappointed. Now the million dollar question is - will the movie Singham be as entertaining and funny as its spoof trailer video 'manmohan singham' which is doing the rounds on YouTube and face book these days. The answer would be a yes! You are bound to stay glued for the duration of the film and enjoy it thoroughly if you are ready to keep in mind that it is a Rohit Shetty film therefore a lullaby for you brain. Please don't expect the Golmaal director to come up with something realistic , understated or thought provoking. The story mind you is not frivolous. A remake of a 2010 Tamil film by the same name and directed by Hari, it talks about a system so drenched in corruption that an honest cop is left high and dry. 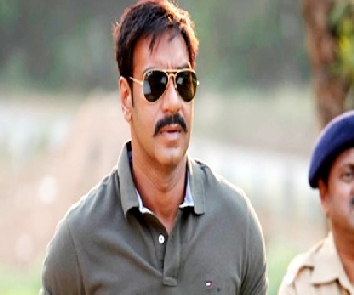 Ajay Devgun plays the character of Bajirao Singham, an upright officer who takes on the mighty villain Jaykant Shikre played by Prakash Raj (reprising the role he played in the Tamil original). However it is the execution and on screen treatment that makes it so over the top in other words a typical Rohit Shetty film. What unfolds is a Masala Pot boiler-overflowing with melodrama and heroic grandeur. So what is good about the film? The sheer brilliance of the stunts, the immaculate fight choreography and some thrilling action lead the rest in the list for reasons to go for this film. Rohit Shetty proves once again that he is the master in directing unique stunts and together with his rather muscular muse Ajay, can churn out some relishing home made Masala flicks. From knocking someone out with the thrust of a single hand, to car chases and full throttle kicks, it seems action serves to be the main course in this latest Rohit Shetty menu. The movie also boasts of some smoking hot dialogues (most of them are in Marathi, written by Farhad-Sajjid) that help to keep intact the southern flavour. All this is garnished with some good old humour. There are scenes that are genuinely funny therefore making you laugh while the others are so ridiculous that we giggle anyway in utter wonder. Either way there is never a dull moment. Add to this farm fresh ingredients in the form of thundering performances by Ajay Devgun as the upright hero and Prakash Raj as the slimy villain. Both have put on a great show. Just seeing them together in the same frame is rewarding. Ajay guarantees yet another hit and Prakash Raj has created a niche for himself with the villainous roles but he needs to reinvent himself before we yawn at his next performance. Watch out for the climax of the film when Singham ( Ajay) and the others zero in on Shirke (Prakash Raj). It’s a treat watching how the intensity of Ajay's character compliments so well the frivolity of Prakash's. What might you dislike about the film? Please refrain from expecting anything subtle or delicate. It’s an out and out masala film however refreshingly crisp. At the outset it is made clear that a Lion (i.e. singham) is on prowl to get the villain. Also don't expect anything on the musical front. The songs seems forced (the music by Marathi music directors Ajay-Atul is nothing to write home about) and the sub-plot of Ajay and his love flame in the film Kavya (played by Kajal Aggarwal) looks extremely lackluster and "thanda". Previously seen in southern films Kajal Aggarwal delivers what she was hired for. A pretty face and a little breathing space. Her scenes with Ajay have neither much to speak of in terms of content nor chemistry. They just help us give some visual pleasure in between the dhishhooms!! Also do not expect a logical, realistic end to the film. The solution put forward about rooting out corruption is over the top, bordering on the insane. But the banner of 'masala film', Rohit Shetty's vision along with thundering performances just about bail it out. So overall, although a no brainer it has enough meat to keep us busy. Singham is yet another example of how great performances can help make an otherwise average film pass with flying colours. Give your brain some rest and digest some solid performances while you stomach your popcorns!! A one time watch is recommended particularly if you have been deprived of a good action film.